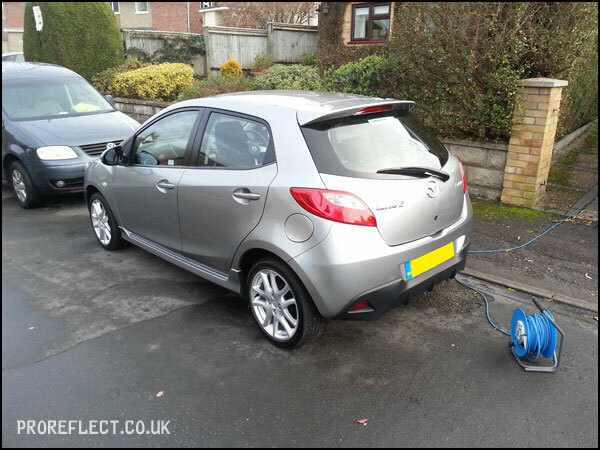 Following a recent purchase, a new client wanted to keep their Mazda 2 in good order. 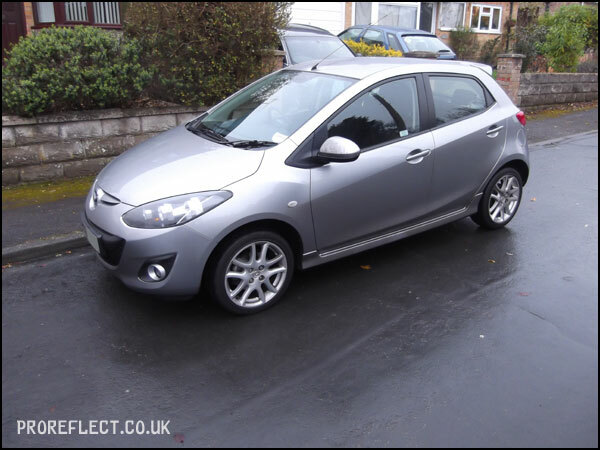 After discussing what was available to the client it was decided that a Protection Detail would be good for the coming Winter and also monthly washes in the form of a Maintenance plan. Not too many pictures taken for this vehicle. Started on a Friday afternoon, the weather was not the best and it got dark early on the Saturday which meant time was precious. This is how it started. 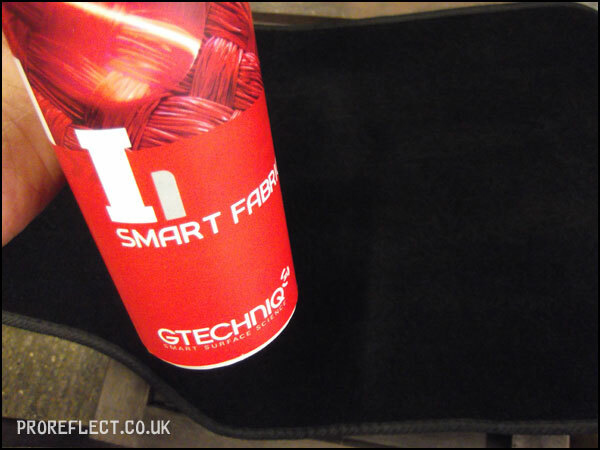 The interior got a thorough vacuum and the mats received a coating of Gtechniq I1 which stops water penetrating the fabric. 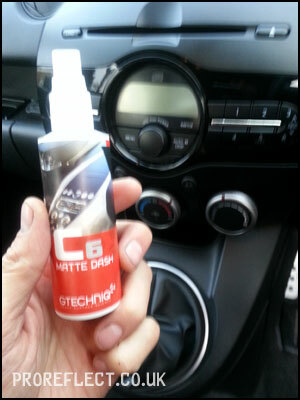 All interior plastics were treated with Gtechniq C6 for a natural, non-greasy, finish. 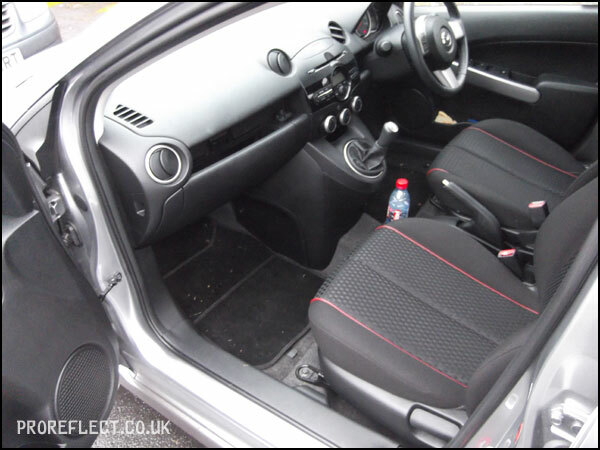 All interior glass was cleaned with Autoglym Fast Glass. 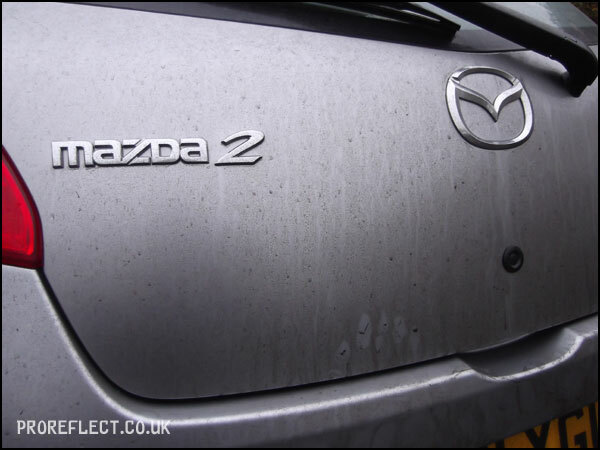 On day two, the Mazda was given the usual Pro Reflect wash routine. 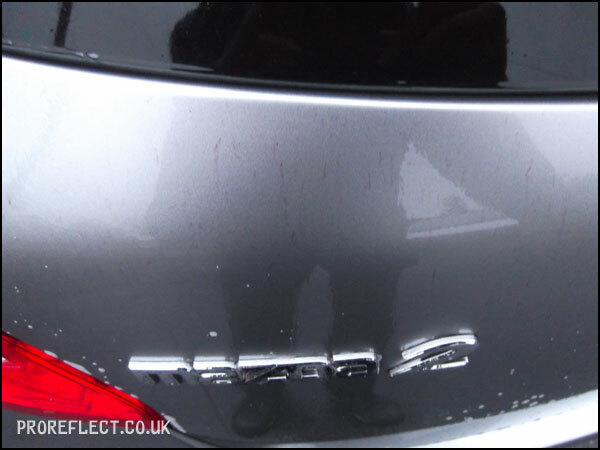 There was plenty of iron contaminants to dissolve from the paint surface especially at the rear. Paint depth readings were taken on every panel and ranged from 80 – 137 microns. 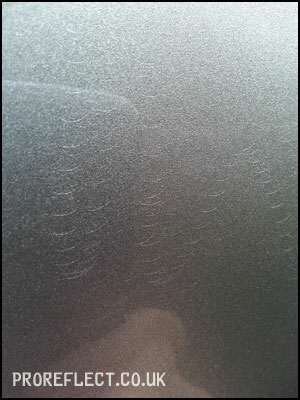 The owner had informed me of some bodywork being done recently due to the drivers door being keyed by vandals. 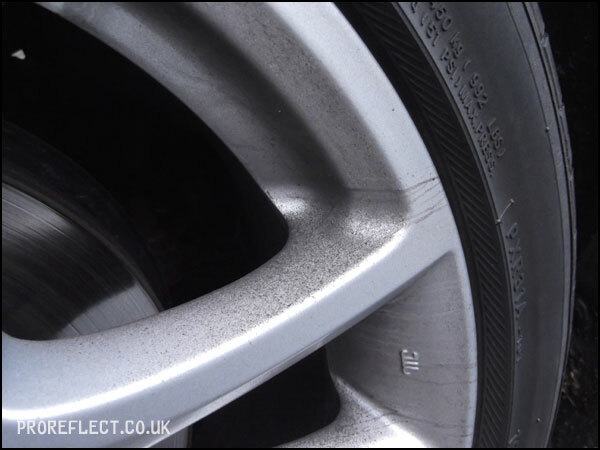 This was confirmed by the slightly higher readings in that area but also by remains of poor bodyshop practices. 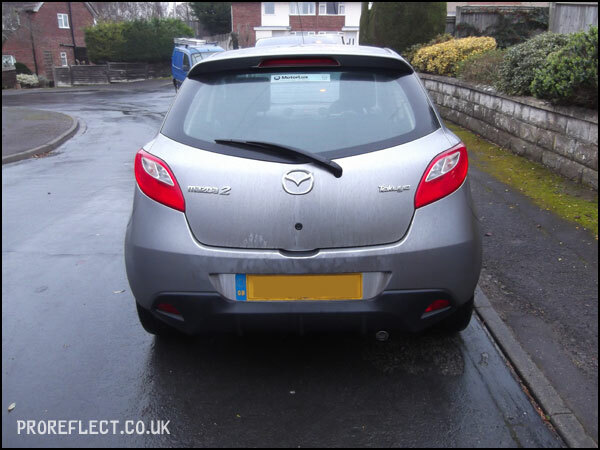 The colour match was very good but you can just see where the bodyshop has either wet-sanded it prior to paint or machined polished it afterwards (poorly) and this has left what is called pigtails. A real shame because the paintwork was mint apart from this. 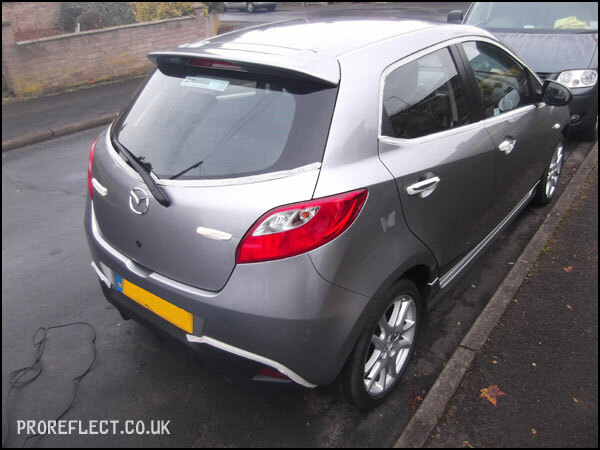 All exterior plastic trim was then taped up and then the paintwork received a single stage machine polish using Menzerna PO85RD. 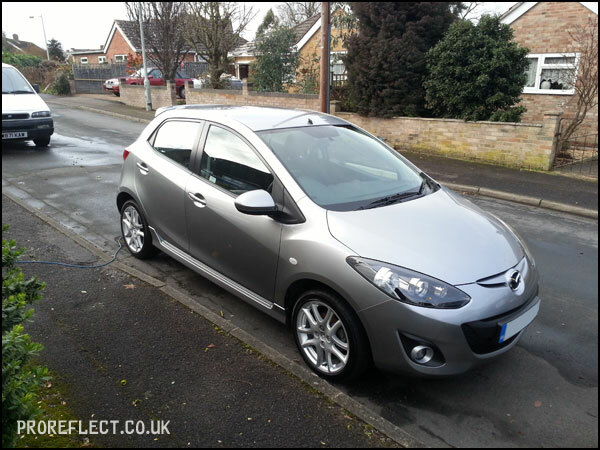 This removes any minor swirls from previous washing and prepares the paint for waxing. 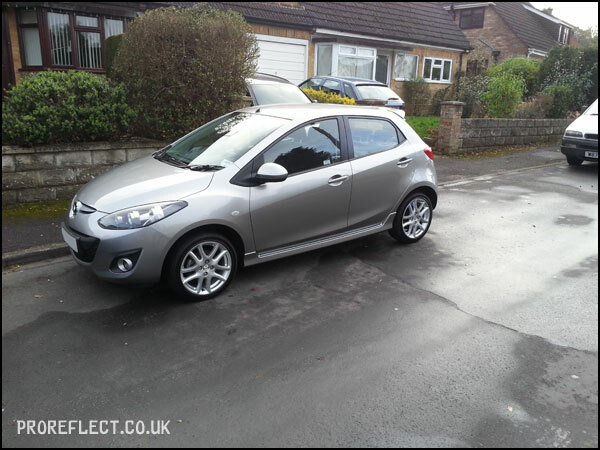 After polishing, the paintwork was wiped down with CarPro Eraser to remove any polishing oils and makes sure the wax has the best possible surface to bond to. 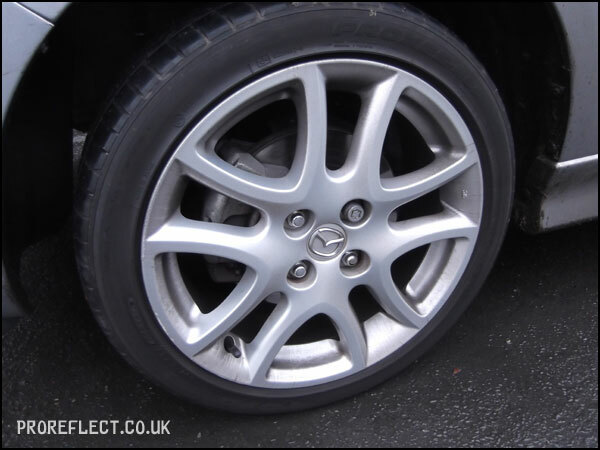 The wax chosen for this detail was Finish Kare 1000p and this was also applied to the wheels. 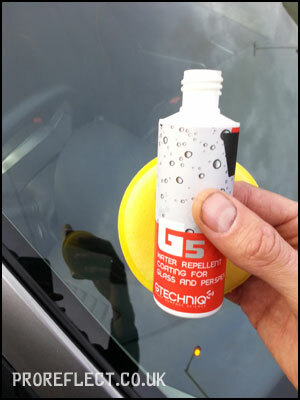 The final stage of this Protection Detail was to seal all the external glass with Gtechniq G5. This gives the glass good rain repellency and is also fairly durable.